50's Juke box show touring community venues for the elderly. 50's Juke Box Memories is a collection of 50's songs by the most famous stars of the era. It is a two hander show where you will be playing a number of characters. Performers need to have strong vocal ability, be great at speaking to people and have a natural loveable presence. Two to three shows per day. Show times are usually 11am 2pm and 5pm. With the earliest show starting at 10:30am and the latest 6:30pm. 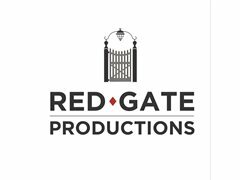 We are looking for two female actors based in Kent. The tour will branch to homes in Kent, East Sussex. Please state your post code in application. One DRIVER WITH OWN CAR and one NON DRIVER. Friends applying together will be given first consideration so they could possibly arrange to stay together or arrange more convenient travel arrangements between themselves. 26th 27th 28th 29th 30th 31st March 4th 5th 6th April. Please Keep also be aware that 1st-3rd and 7th of April may also be booked as show dates. Please keep them available and exact show dates will be confirmed at least a week before rehearsals. Rehearsals 24th and 25th of March. The driver will also receive £200 for petrol expenses and anything left over from this is for the driver to keep for the use of their own car. An extra £25 per day will be given to the driver for any additional confirmed show dates. For the audition you will be asked to sing a verse and chorus of two contrasting songs of your choice. This will be done accapella. Auditions will be held over video call.